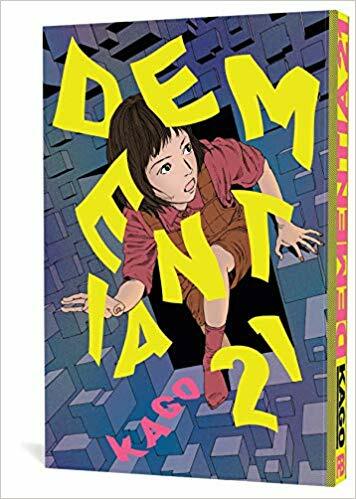 Dementia 21 by Shintaro Kago. Translator Rachel Matt Thorne. 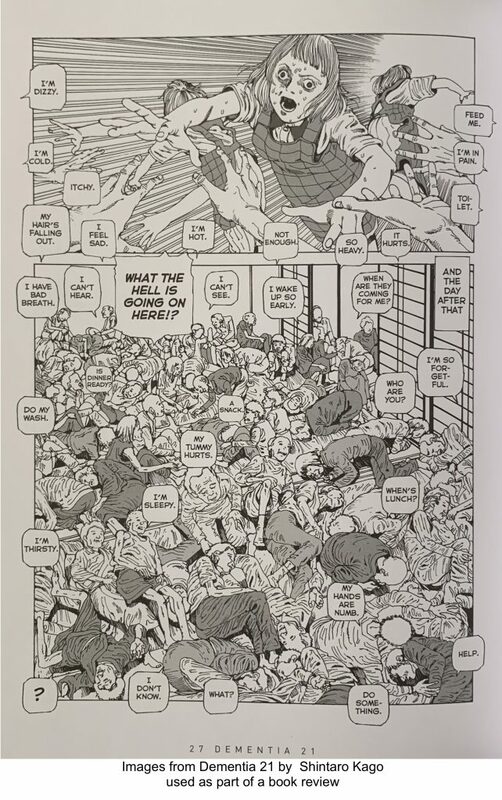 Fantagraphics, 2018. 9781683961062. 294pp. Includes an interview with Kago by Gary Groth, and a few piece of surreal, full-color art. Seventeen strange and humorous tales about home health aide Yukie Sakai. She tries her best to earn good feedback scores while helping her elderly patients, but that’s not easy when they’re cursed, when the number of her patients multiplies endlessly, and when one old woman’s dementia and super powers combine to explode everyone she forgets. 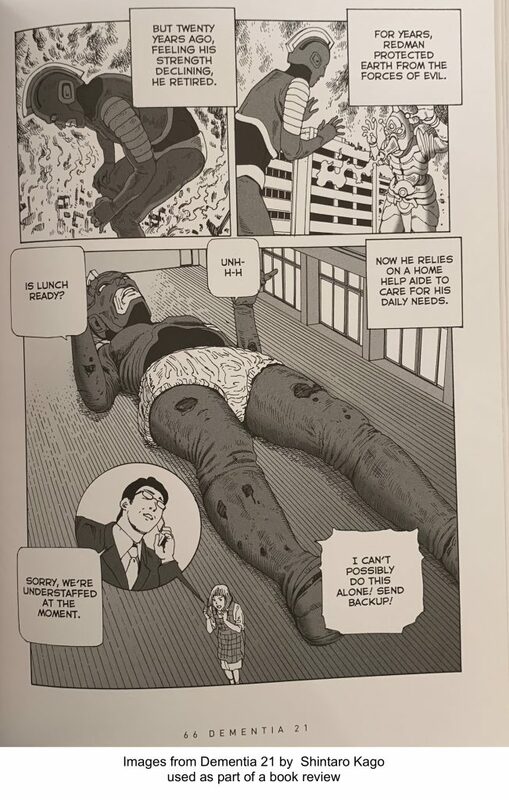 The tale of AI powered dentures was totally creepy, and it was followed by a purely funny story in which Yukie tries to care for an elderly giant hero, Redman, who once defended Earth from evil aliens. Recommended if you like manga in-jokes, and if you laugh at the same time you cringe.